A business owner and entrepreneur is launching two new ventures with support from Coodes Solicitors’ Corporate and Commercial team. 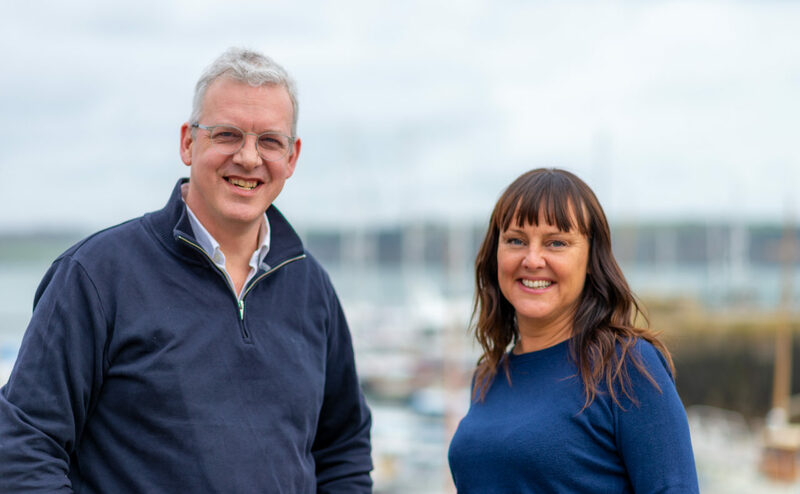 Andrew Kellard, owner of brand design consultancy AKA, is establishing both companies in Cornwall before launching them globally. The new ventures – Patient Cards and Zigtagz – will add to AKA’s portfolio which already includes working alongside some of the world’s largest medical and travel security firms. With a career spanning more than 30 years, Andrew Kellard has a background in award-winning internationally-renowned design companies. Having been brand guardian for the likes of McDonald’s, Bupa and Logica, he has particular expertise in the heritage sector, including commissions for the National Gallery, Historic Royal Palaces and British Library. He has also developed a niche in design work for the medical and pharmaceutical sector. Andrew fulfilled a long-term dream when he relocated to Cornwall in 2015. He first came into contact with Coodes when he instructed the firm with the conveyancing for his new property. “It wasn’t an easy purchase and there were a number of complications,” he explains. “But whoever recommended Coodes was right – they did a great job.” So, six months later, when Andrew needed advice on updating a number of business contracts, he asked Coodes for help and was put in contact with Partner and Head of Corporate and Commercial, Sonya Bassett. 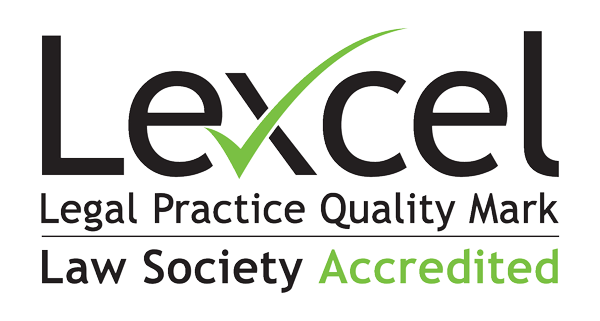 Andrew says: “What immediately impressed me was that Sonya has clearly worked in business. She’s been client side as well as lawyer side and that brings an understanding of the reality instead of just knowing the law. Andrew is now employing a broad spectrum of Coodes’ commercial skills base to set up his new entities, Zigtagz and Patient Cards. This includes trademarking and establishing customer terms and conditions. Some seven years in the making, Zigtagz is a tagging system, which gives customers a set of unique labels to protect their most important portable possessions. Importantly it does not reveal any information about the owner’s identity, instead displaying a unique reference number alongside the Zigtagz website address. This allows the individual who finds the lost phone, wallet or laptop to log onto the website so the item can be returned to its owner. With a number of major companies already using the system for their employees’ possessions, AKA is now preparing to launch Zigtagz to the wider consumer market. Already being adopted by Cornish GPs surgeries in St Austell and Camborne, Patient Cards is a social enterprise which includes an app and a handy card. Andrew explains: “We know GP surgeries are struggling with too many people making too many appointments when they could be getting advice elsewhere. Whether it’s via the app or the card, Patient Cards redirects people to the most pertinent place to get help. Over the coming months, AKA will launch Patient Cards with a select number of Cornish surgeries, before opening it up to surgeries across Devon and Cornwall and eventually targeting clinical commissioning groups UK wide. The Department of Trade and Industry has also included Patient Cards in its export programme so it could be supplied to healthcare providers around the world. Andrew says: “The aim is to get every GP surgery in the land to adopt it. It gives health centres a really useful way to communicate with their patients and connect with their community. It diverts the patient instantly to the people they need to talk to, reducing the pressure on surgeries. It also gives them data on which services are being used, helping them to work out where to focus resources. Andrew adds: “I’m interested in business as much as design. I particularly enjoy coming up with a solution to a very specific problem. Andrew says that is one of the reasons why he has chosen to employ a Cornwall-based law firm. He says: “Coodes has all the departments you need and that’s really important because what you realise very quickly – even with a small business – is that you need contract law, you need dispute resolution, you need property law and so on. 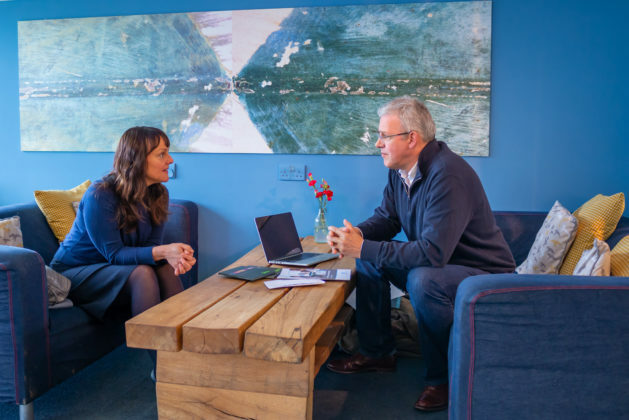 With thanks to Cafe Mylor for providing the venue for the interview and photography.